The former National Security Agency (NSA) contractor has been living in Russia with temporary asylum ever since he leaked vast amounts of classified data to the media, revealing the massive espionage network organized by the US and UK using tech companies. Anatoly Kucherena, Edward Snowden's lawyer, has revealed some details of the renowned whistleblower's life to Sputnik. According to him, Snowden has found a job, is actively traveling around Russia and is continuing to learn the language. 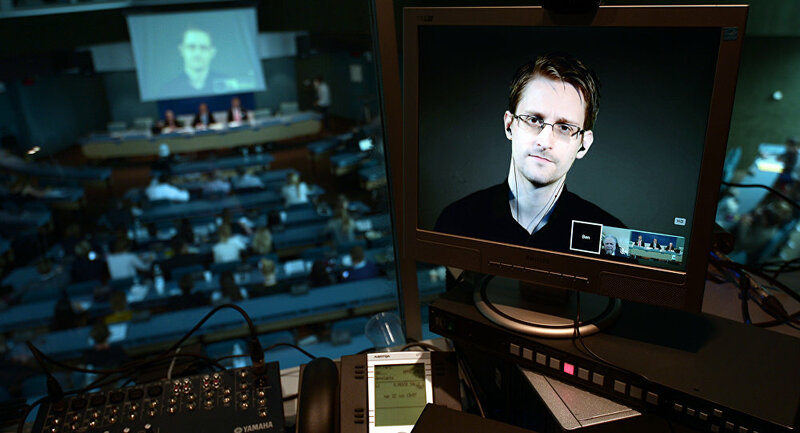 Kucherena added that Snowden receives visits from his girlfriend, Lindsey Mills, and his parents. When asked about the whistleblower's favorite place in Russia, his lawyer said that he likes St Petersburg "a lot." "He is doing alright: his girlfriend visits him, he has a good job and he's continuing to study Russian. His parents visit him occasionally. [They] have no problems with visas. At least they have never complained about having any trouble," the lawyer said. After Snowden released classified NSA documents, he fled first to Hong Kong, then, on June 23, 2013, arrived in Moscow from Hong Kong. The whistleblower remained in the transit zone of Sheremetyevo Airport until he was granted temporary asylum in Russia, which was later prolonged to 2020. Former US National Security Agency agent Edward Snowden leaked classified information online, revealing global surveillance programs run by US intelligence services in early June 2013. According to the leaked data, a number of tech companies based in the US left "backdoors" giving the NSA unrestricted access to user data. Snowden's revelations could cost him as much as 30 years in prison in the United States.